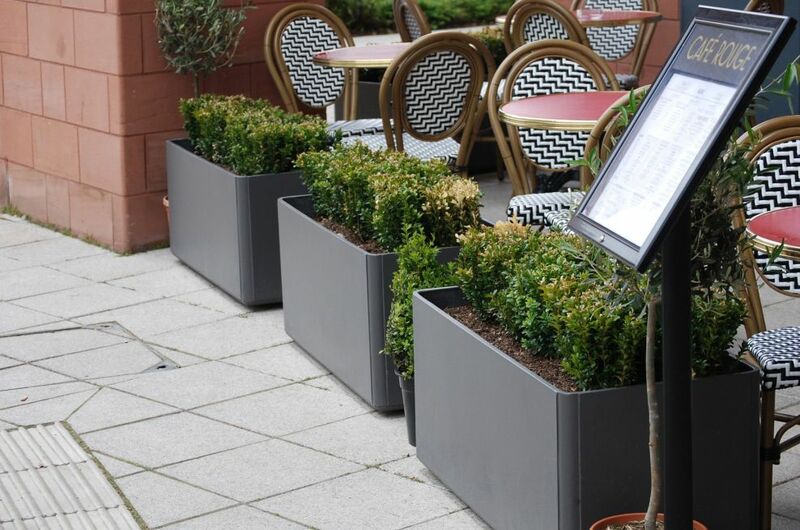 IOTA’s Boulevard planters have been selected for a major refurbishment programme being rolled-out across the nationwide network of Cafe Rouge French brasserie restaurants. 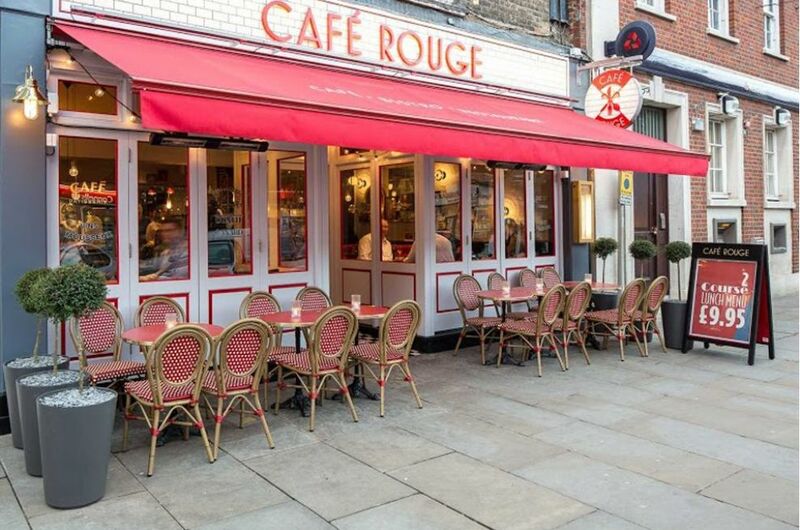 The new-look, bistro style format was piloted in London’s Hampstead High street, with Hitchin being the second Café Rouge restaurant to be refurbished. 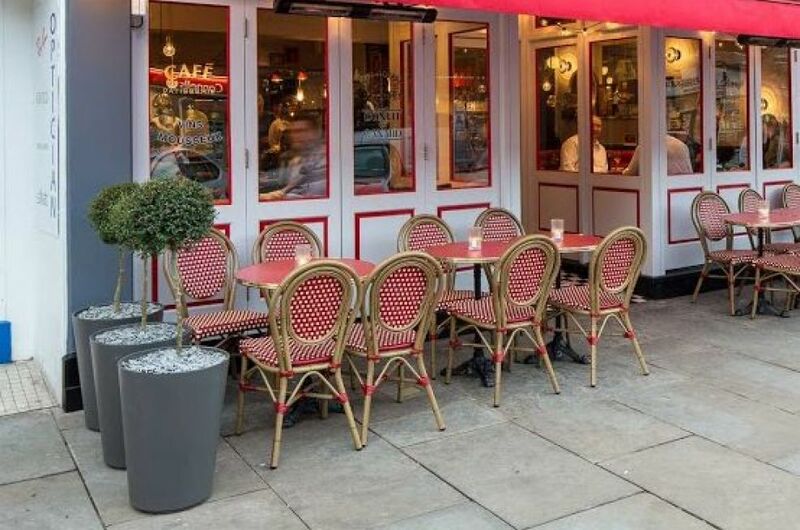 The new format is also being implemented in new additions to the chain, and IOTA has also supplied the newly-opened Café Rouge restaurants in Norwich and Coventry. 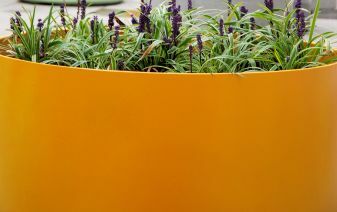 Boulevard planters are a range of high-performance composite planters made from a proprietary form of Fibre Reinforced Cement [FRC]. 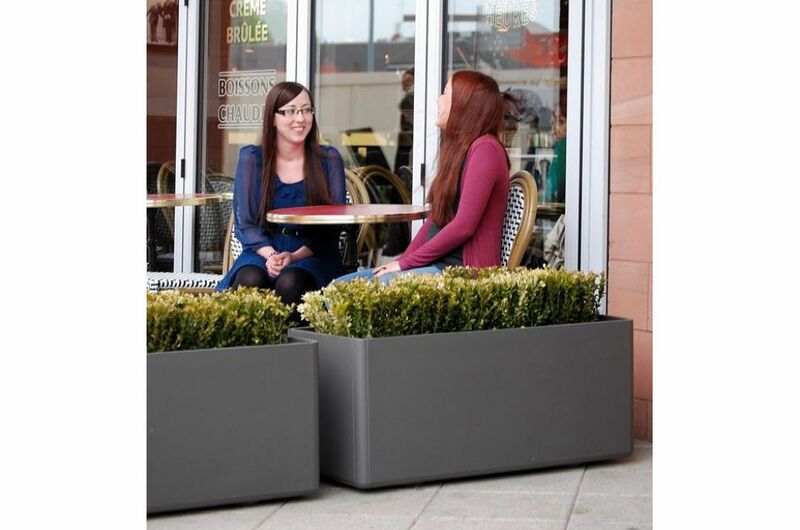 All Boulevard planters possess an exceptional strength-to-weight ratio, making them suitable for a wide range of environments – from weight-restricted areas, to interiors, to public spaces and streetscapes. 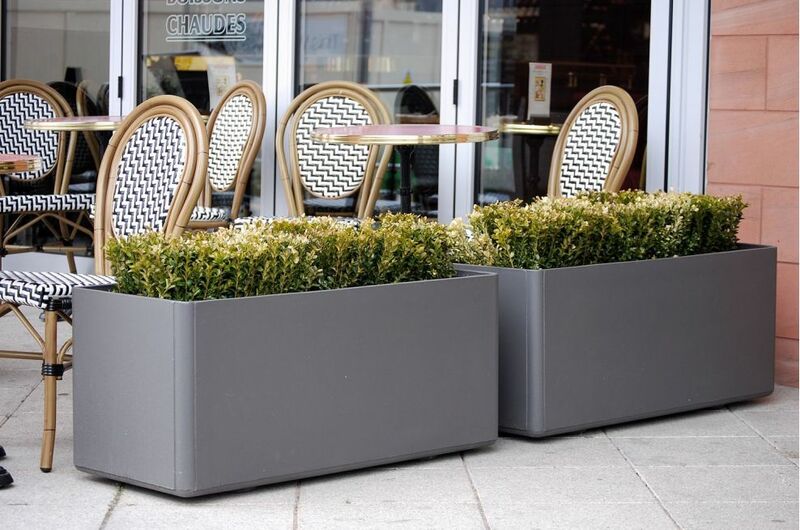 The planter styles selected for Café Rouge are ALTO, DELTA 45 Square, and DELTA 45 Trough. 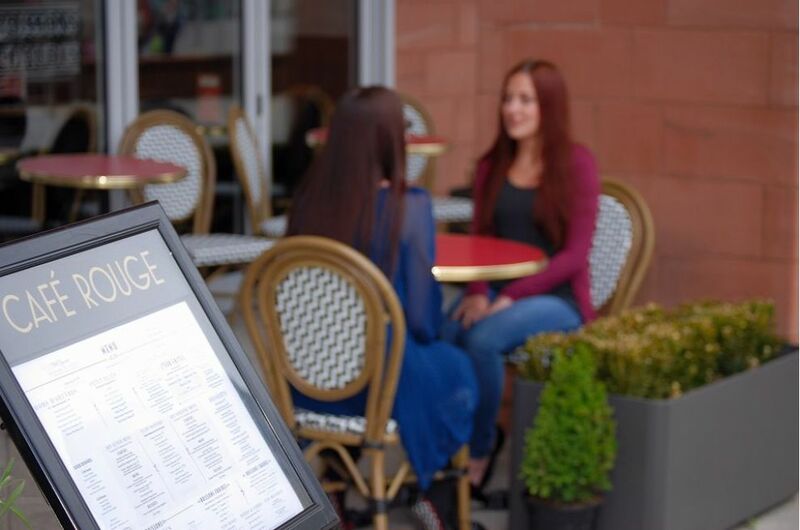 Café Rouge is the UK’s most successful and best recognized French brasserie brand, with 125 restaurants throughout the country. 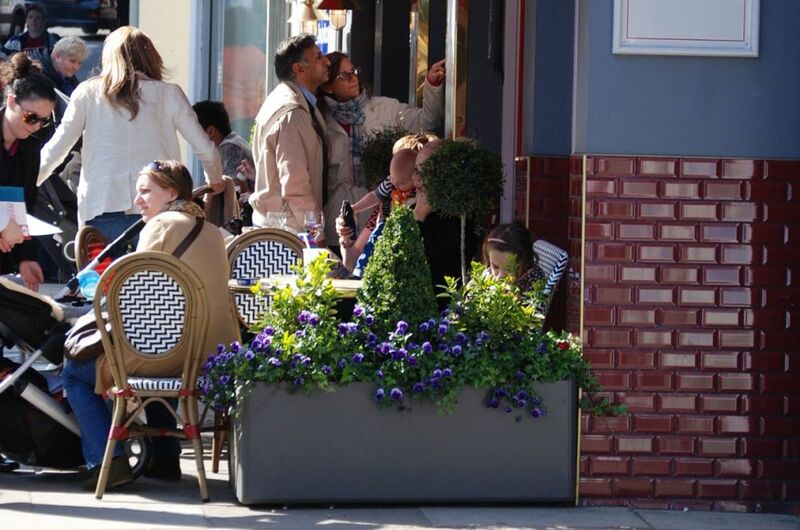 The chain is owned by Tragus, which operates several other mid-market restaurant brands in the UK, including Bella Italia and Estrada. 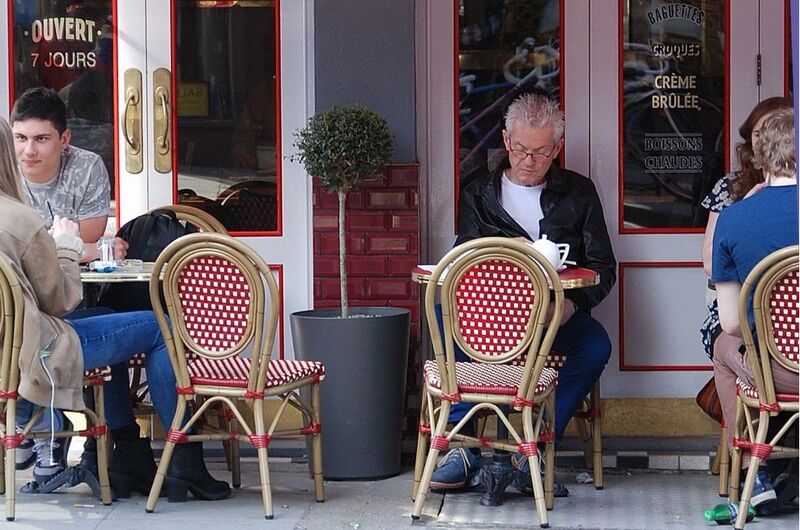 23 years after the first Café Rouge was opened, the brand is now being rejuvenated with a major refurbishment programme to be rolled-out across the entire estate. The new-look, bistro style restaurants are more contemporary and cleaner in design, whilst still retaining the charms and idiosyncrasies of the original brand format.